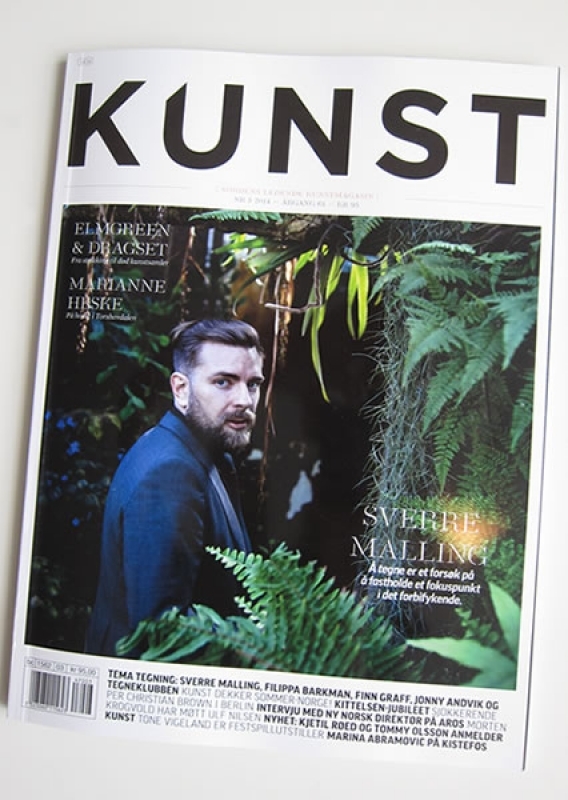 Kulturrådet har erhvervet 30 tegninger. Kulturrådet feirer 50 år! På jubileumskonferansen vil vi inn til kjernen av det vi driver med og er til for. 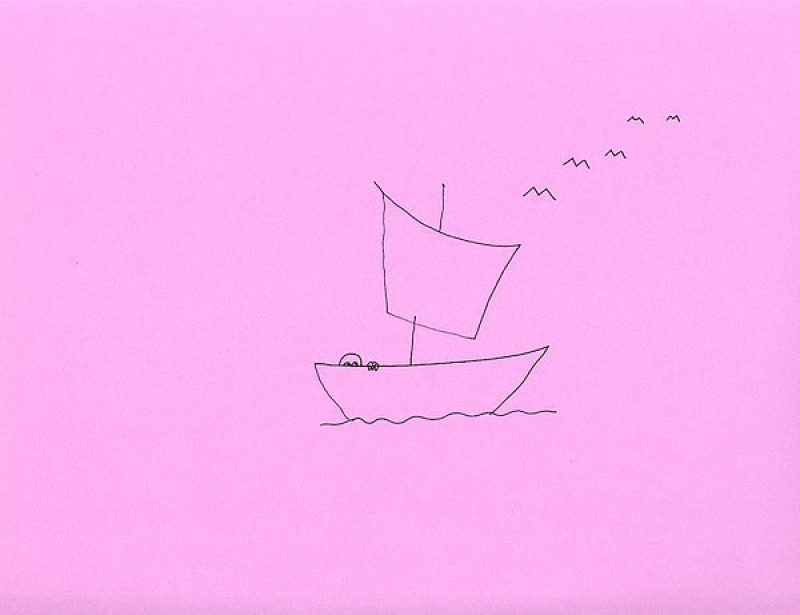 Hva er verdien av kunst og kultur? Og hvordan formulerer og forsvarer vi denne verdien i møte med samfunnets krav om mål og synlige resultater? 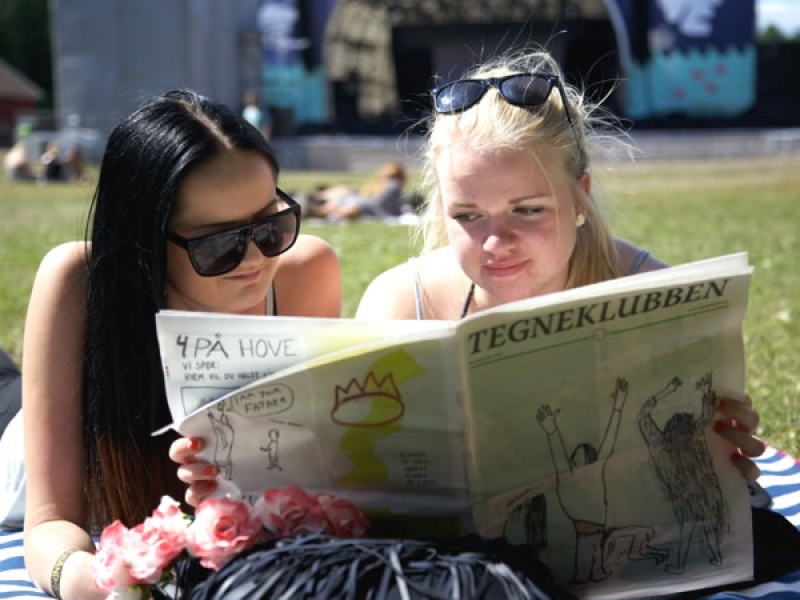 Tegneklubben contribute to Kunst på Hovefestivalen with an exclusive limited edition newspaper. 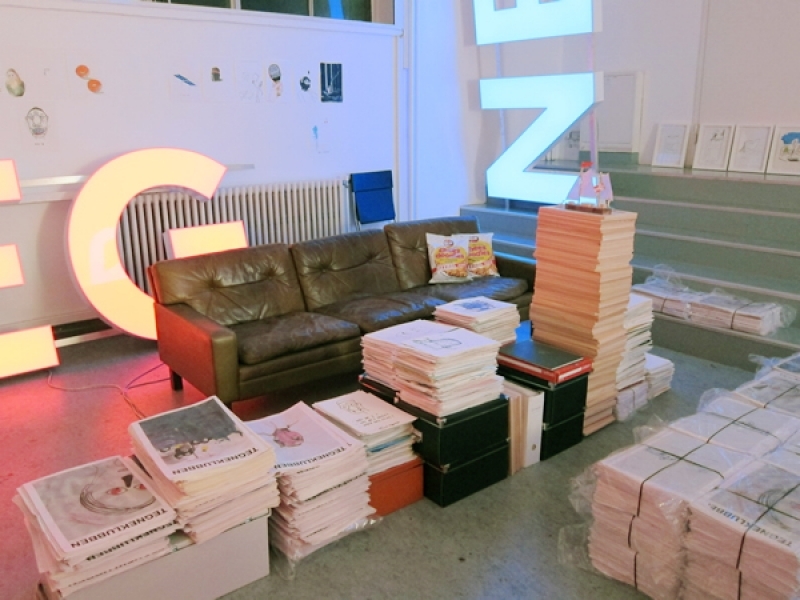 In the period October 2012 - February 2013, Tegneklubben took up residency within the "W17 Studio Program" at Kunstneres Hus, Oslo. 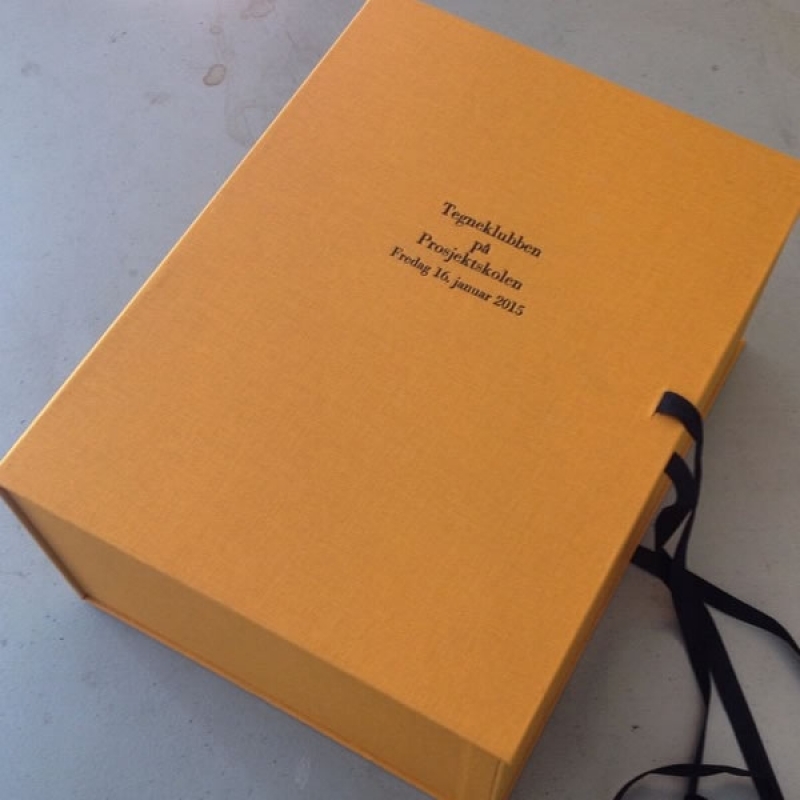 Tegneklubben were invited to be a visiting artist at the Oslo National Academy of the Arts. We thought it was an interesting task and discussed whether we should be a force of various guest teachers talking to different students or just enter each student´s studio as a three headed troll. The latter was the most intriguing, and we decided for a three-students-in-a-small-group tutorial with three-tegneklubben-artists model. 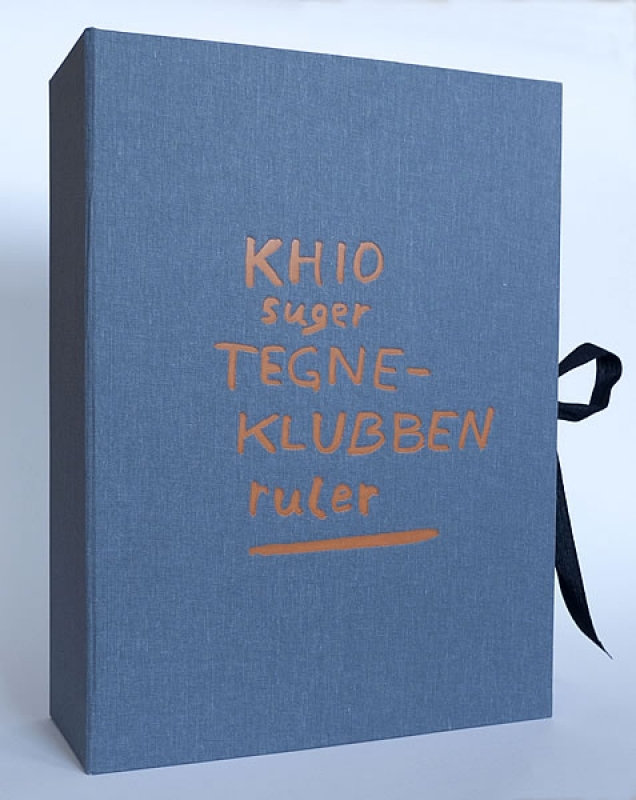 Tegneklubben presented in the latest issue of FUKT Magazine! 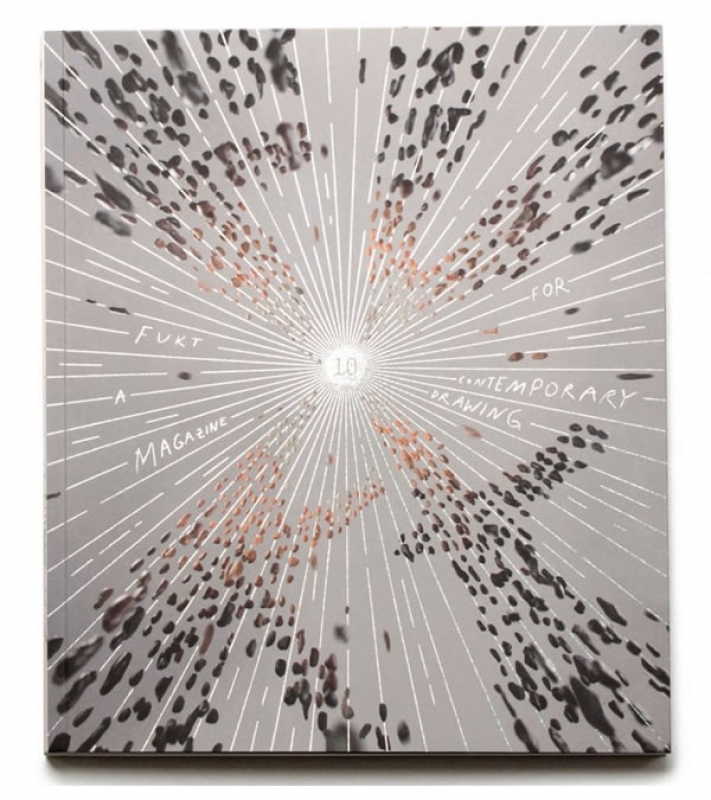 FUKT is a magazine for contemporary drawing established in Trondheim 1999 and based in Berlin since 2001. 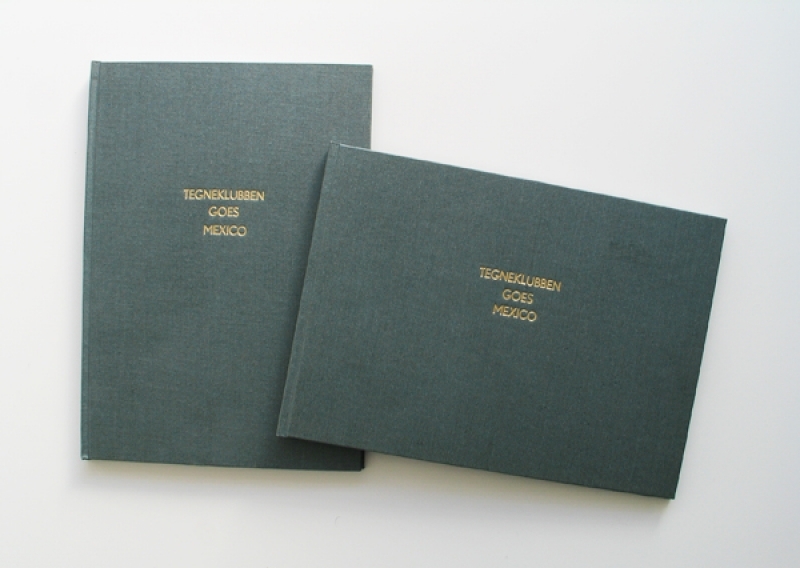 Two hand bound books of original drawings with gold embossed titles. A series of drawings on the theme of the Mexican sombrero (Mexican frying an egg). 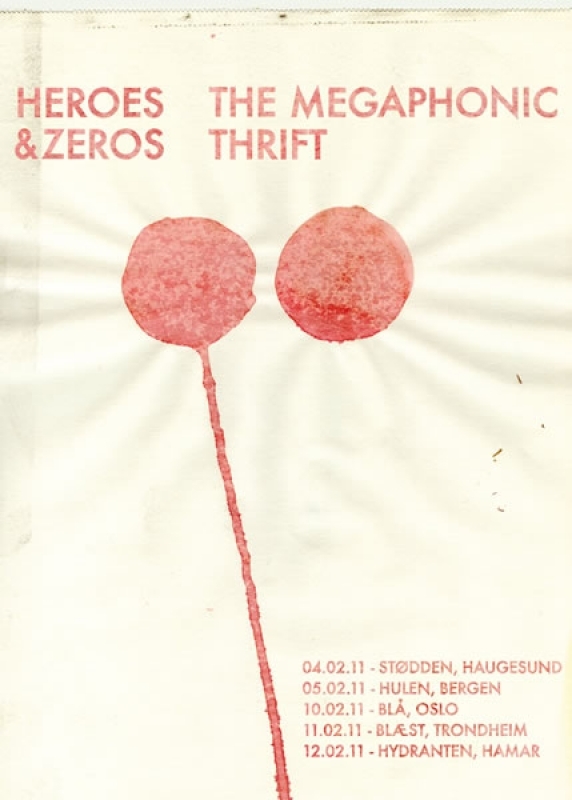 Tegneklubben supplied the artwork for the February 2011 tour poster for Heroes and Zeros. 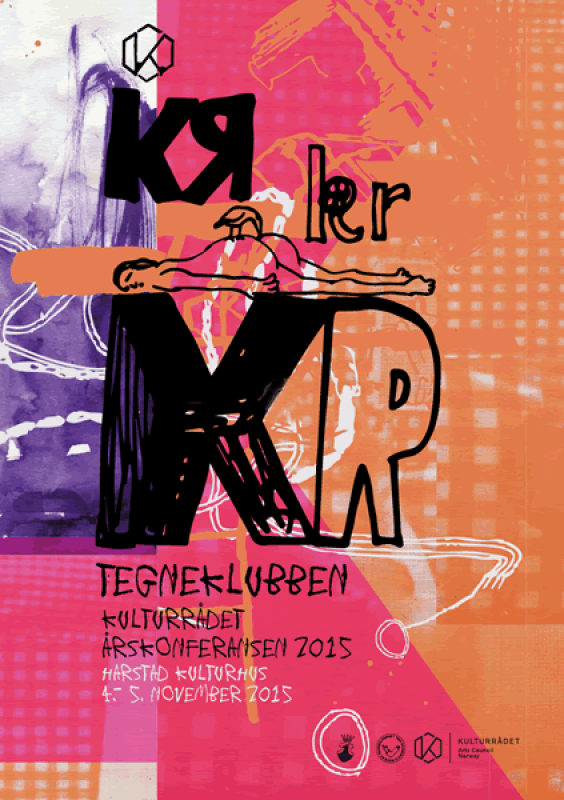 Tegneklubben have been invited to participate in this worthy project to help support Amnesty International´s campaign. 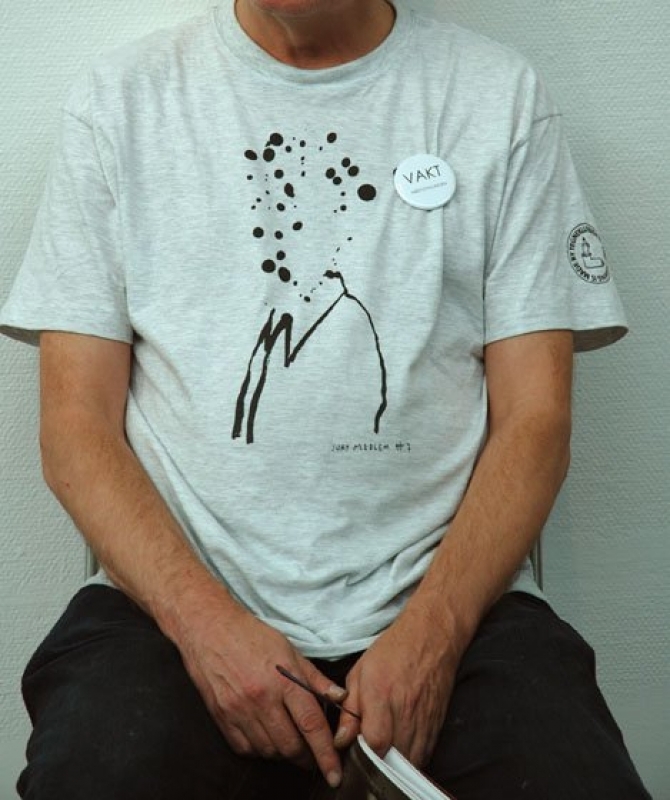 Presented are many of Norway´s most profiled Contemporary Artists. 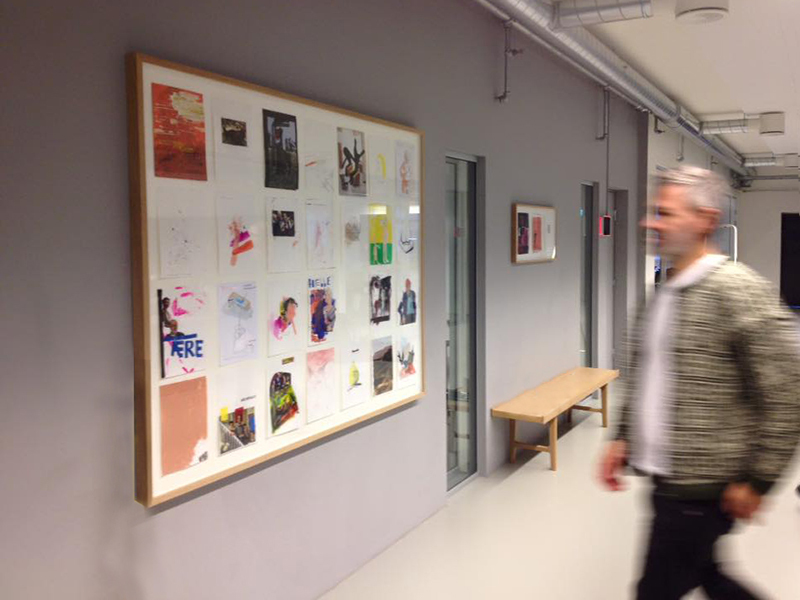 Tegneklubben have donated 5 framed original drawings.